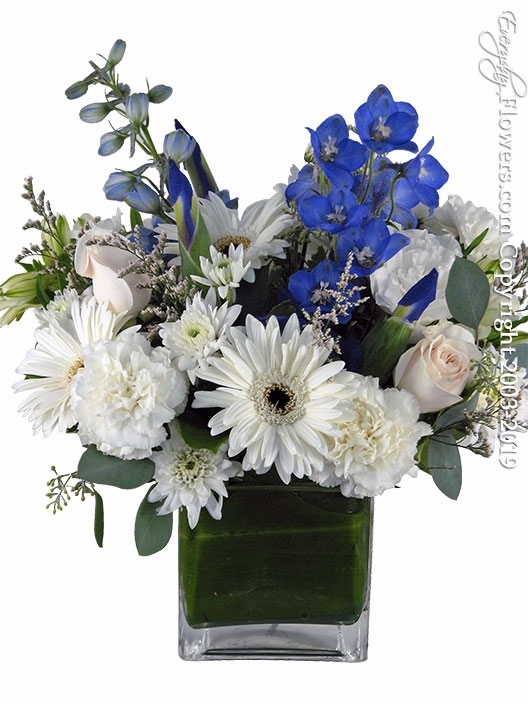 This is our upgraded version of our Thinking of You Blue arrangement that has been created in a larger square vase with more white gerbera daises roses carnations blue delphinium and iris. Designed and delivered by Everyday Flowers to all cities located in the Orange County California area. Comes in a 5 inch glass vase and measures 11 inch tall X 11 inches wide. Check out recent review that was shared on Yelp about this arrangement.